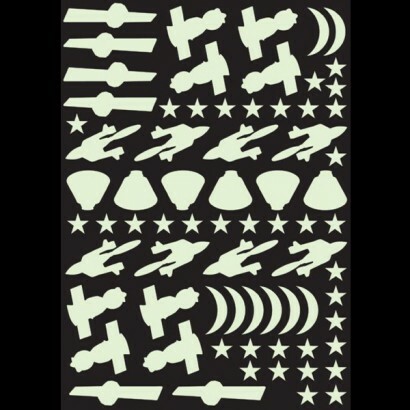 A pack of glow in the dark stickers in awesome spacecraft shapes. 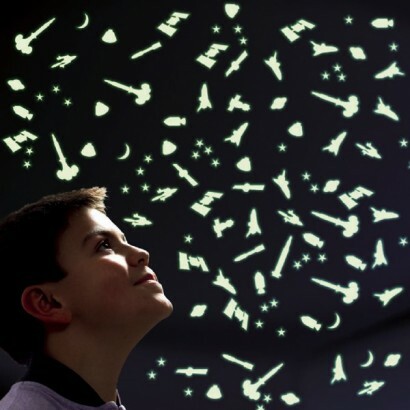 Spacecraft including shuttles, satellites, rockets and flying saucers float amongst moons and stars for a fun space theme in your child's room. The off white stickers blend into white walls and ceilings during the daytime as they charge absorbing natural light and then glow bright green in the dark. 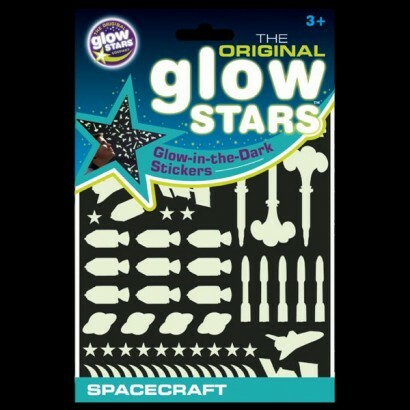 Each pack contains approximately 120 glow in the dark stickers so that you can create a whole universe of stars! Expose to light source, turn out the lights and watch them glow! 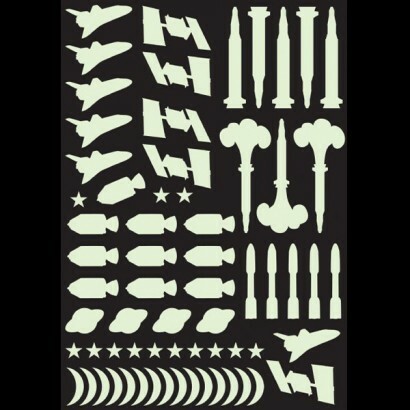 Find out more about how glow in the dark works to get the best from your glow spacecraft stickers.